is trap bar safe to use? You have probably heard it lots of times and your opinion may differ to others, but have you ever wondered why, when it comes to a really heavy weight, athletes often get stuck with a straight bar deadlift instead of trap bar? Well, one reason could be that deep inside you know that, if you are not careful, using heavy weights with a trap bar, it can make you unstable and could result in serious injury. Alternatively, it could simply be the fact that with straight bar deadlifts, you have more confidence to lift heavy weights without worrying too much about uneven weight distribution. If you are a beginner with poor technique and attempt to lift heavy weights using a trap bar, you put yourself at risk of injury, all it takes is one bad rep. My advice is to build your way up to executing a good technique and when you think you are ready, move into straight bar deadlift. However, don`t let this talk of injuries put you off, in my opinion, if done properly, the deadlift is probably one of the best exercises you can do and offers some of the highest neuromuscular, musculoskeletal and metabolic adaptations in a single lift. Even for someone like me, who usually focuses on body weight training, the deadlift is a great exercise to build and maintain strength which makes lifting my own body weight much easier. Lots of guys I come across at the gym say, that deadlifts are not safe and definitely will cause back injuries, so they prefer to skip it all together. Well, I can only agree with them if your technique is poor. It can be dangerous if you don't develop the basics first or if you use too much weight on trap bar which causes you to shift your balance a bit while holding a bar on top. Experienced athletes who often have very strong core muscles and can therefore safely use a trap bar with heavy weights will disagree with me. But saying that, how long did it take them to build the strength necessary to execute perfect deadlift? I'm sure it took them longer to get to that stage than you think. Deadlift is only unsafe if not done properly, so if you have never done it before I would recommend to hire a personal trainer or get advice from a fitness professional who can correct your technique and ensure you won't injure yourself. In short, if you are a beginner or you are concerned about the risk of lower back injury and have not yet developed a proper deadlift technique then, I would definitely recommend sticking with trap bar for now. If, however, you start developing strength and want to move to much heavier weights knowing that your technique is good or at least getting very close to being technically correct, it's the perfect time to move to the straight bar. You can, of course, start with straight bar deadlift, but for beginners, it's highly recommended to start with a trap bar. Let's look at the main differences between those two variations of the deadlift. Using a trap bar allows you to step inside rather than in front of the bar and because of this position and the design of the bar there is no need for you to hinge forward to grab the bar. This allows you to keep your arms straight down by your side without the need of rotating your shoulders. This puts less stress on your lumbar spine, ideal for beginners. It also helps you to keep a more upright position and allows the knees to move forward more freely and lets your hips to sit lower than normal. It can, however, allow you to lift heavier weights, which I think is a disadvantage as you will progress too fast. With deadlifts you really need some time to develop proper technique, so by moving up too soon, you can seriously damage your lower back. On the other hand, if you think you have a good technique and want to start lifting much heavier weight then straight bar deadlift is something you should consider. Traditional deadlift, however, may feel harder than a trap bar, but saying that, the straight bar will lock you in place and won`t let you move the bar around your waist like trap bar does. If your hamstrings and glutes are tight and your core muscles weak, you can struggle to maintain the correct starting position. This can put too much stress on your lower back and it's one of the reasons starting with a trap bar is recommended. It takes some practice to develop the good technique so don't rush with it, the golden rule with deadlift is the slower the better. So is a trap bar unsafe? I would say yes and no. It all depends on how heavy you want to lift. 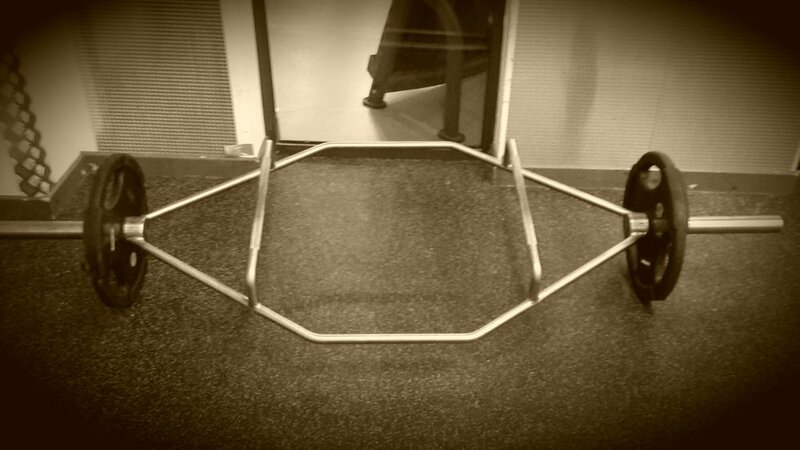 Trap bar is pretty safe if using weight no more than 70-80% of your 1 RM, in some cases even less. If you choose to lift heavier weights then my advice is to move to the straight bar after developing a good technique, because heavyweights on a trap bar may become unstable. Combination of instability, bad form, and heavyweight may be asking for trouble. At the end of the day, it is your back, so be careful and make sure you ask for professional advice if you have any doubts about your technique during execution of the deadlift regardless of it being the straight bar or trap bar.